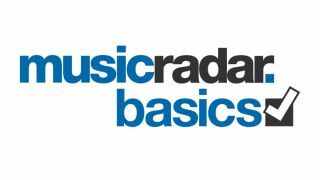 MusicRadar basics is a video series for musicians designed to answer all of those questions that crop up when you first start playing an instrument. In this series, in association with Roland, we're looking at the world of digital pianos. Taking up a new instrument can be an exciting but intimidating process. That's where we come in. In this series we'll talk you through the ins and outs of digital pianos, from how they work and how they differ from acoustic pianos and keyboards, to the myriad sounds and features they offer musicians. We'll also look at the many accessories available, as well as advise you on what to look for and what to ask when buying your first digital piano. Overall we'll keep it clear, simple and jargon free, and help get you on the road to owning and enjoying the many benefits of your first digital piano. For more information on Roland products, go to their website. Check out Roland on Facebook and Twitter. Interested in playing guitar? Check out our other MusicRadar Basics series', including electric guitar and guitar effects.